Employer-sponsored retirement accounts are a great way to save for retirement. 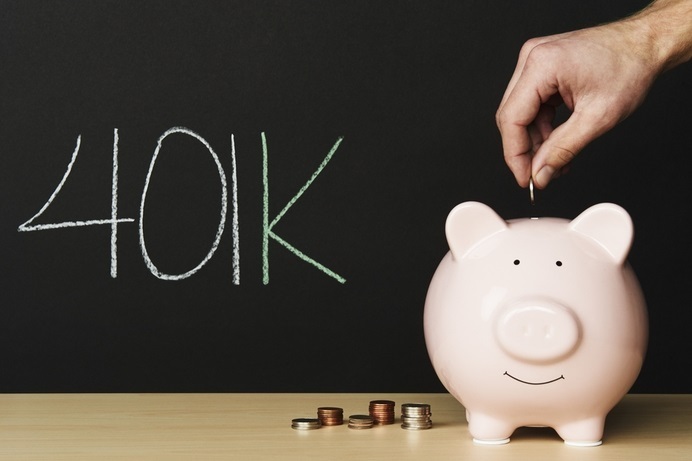 A 401(k) offers tax benefits such as pre-tax contributions and tax-deferred growth. You don’t get taxed on your contributions or earnings until you start making withdrawals in retirement, when you are likely to be in a lower income tax bracket. Maximize your company benefit and be sure you are at least contributing up to your employer match. So, if your employer offers a 100% match up to 6%, you should contribute at least 6% to get that full match. However, you don’t have to stop at 6%. You ideally should be saving 15% of your income for retirement, either all in your 401(k) or in conjunction with an IRA. You are often allowed to leave your money in your former employer's plan. If you're happy with your performance and investment options, there's nothing wrong with doing this. The other option is to move your assets into your new plan. As long as there are comparable features and investment options, this can be the simplest and preferred approach, as all of your retirement savings will be in one place. We can help you to better understand the differences between your employer plan and an IRA, specifically costs, investment options, and ease of accessing plan assets. There are many online tools available to help you determine how comfortable you are with risk. Simply google risk tolerance questionnaire and you will find several short (10 questions or less) assessments to help you determine your risk tolerance. From there, you can start to figure out where your money should be invested. Deciding where to invest your money across stocks, bonds, and other investments is called asset allocation. Stocks are often viewed as the riskiest way to invest; bonds and other fixed-income investments often have a reduced level of risk. Your 401(k) will probably offer a minimum of 8-10 choices with at least one fund in each of the following categories: U.S. large cap, U.S. small cap, international, emerging markets, bond, stable value, money market. There are many asset allocation strategies. You could simply take your allocation to stocks and divide it equally among the choices in your plan and do the same for bonds. You could split it 50/50 U.S. vs. international. However, if you don’t want to get involved in any of those decisions, you could consider a target date fund. Many 401(k) plans now offer target date funds. If you someone that wants to set it and forget it, target date funds could be a good approach. The year in the fund name, refers to the year you plan to retire. For example, if you are 30, you might pick a 2050 fund. Once you select the fund, the manager will make investment decisions for you and automatically rebalance the fund to become more conservative as you near retirement. If you are already working with a financial advisor, they are a fantastic resource to help you navigate your 401(k) and other workplace benefits. Simply, gather your plan information and investment choices and schedule some time with your advisor to go through it all. The added benefit of getting your advisor involved is that they are knowledgeable on all your assets and can ensure your 401(k) investments compliment your other retirement savings. As always, we welcome the opportunity to assist you with your questions. Simply reach out to our office at your convenience.